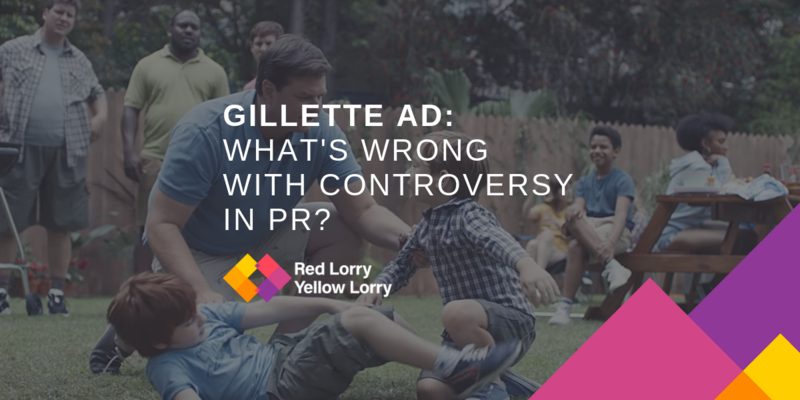 Gillette Ad: what’s wrong with controversy in PR? Controversy. 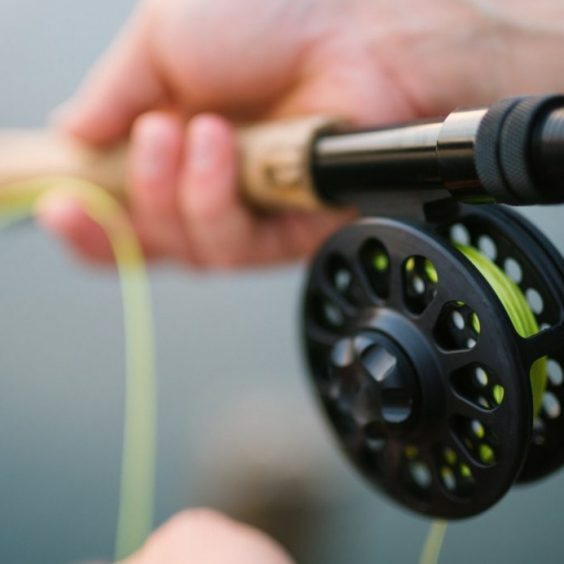 Some brands embrace it, while others avoid it at all costs but, when it comes to PR and marketing, is there a right answer? Ask men’s shaving brand Gillette that question and it would probably tell you that there’s nothing wrong with saying something provocative every now and then. This week, the company released a new advert that focusses on some of modern society’s most sensitive issues, including bullying, #MeToo and the idea of toxic masculinity. Called ‘The Best Men Can Be’ – a play on its renowned ‘the best a man can get’ tagline – the ad features images of sexual harassment, sexism in the workplace and violence between two young boys. As you can probably guess, the ad has split opinion. While some have praised the Gillette ad for addressing these key issues, the majority (including Piers Morgan, obviously) have heavily criticised the ad with claims that it “emasculates men” and fuels the “pathetic global assault on masculinity”. Indeed, many have pledged to boycott Gillette products altogether. 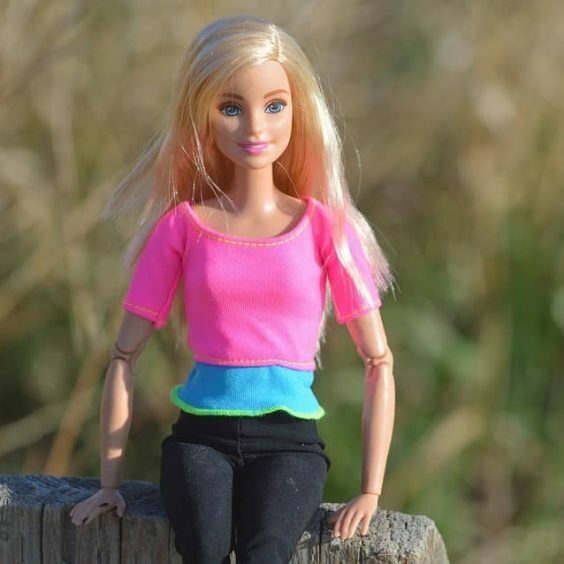 And it’s not the only high-profile company to have embraced its social responsibility and taken a stand on a social or political issue in recent months. Nike experienced a similar backlash following the release of its equally provocative ‘Just Do It’ advert, starring former NFL quarterback and racial equality campaigner Colin Kaepernick. While a series of high-profile critics slammed the ad and predicted the company’s demise, Nike saw a 31% increase in sales in the aftermath of its release and went on to achieve record quarterly results. So, what does this teach us about PR and marketing? Well, whether you agree with Gillette’s message or not, it clearly highlights the importance of content – not to mention social media – when it comes to raising a brand’s profile. At the time of writing, the Gillette ad had been viewed more than 10.2 million times on YouTube, was trending on Twitter and had generated coverage in the likes of the BBC, The Guardian and The Telegraph. 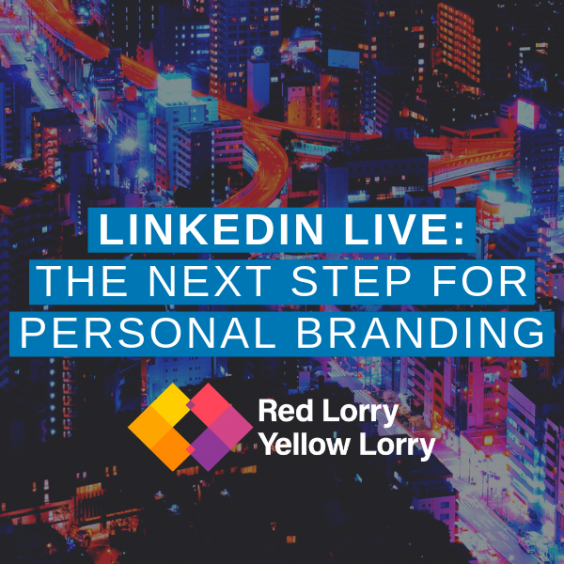 It also illustrates the impact of being brave, taking a stand and giving your brand an identity – even if it means saying something controversial. From Gillette’s point of view, although tackling toxic masculinity may end up alienating a certain proportion of its customers, it is also likely to appeal to the growing number of people that care about what companies stand for. 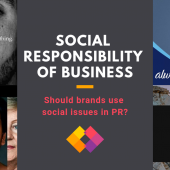 Social responsibility of business – should brands use social issues in PR? Of course, there are a few things brands have to keep in mind when taking a social or political stance. Firstly, it has to be authentic and link back to the core message of the business. A men’s shaving brand that has helped to shape male culture through its advertising with ‘the best a man can get’ has a right to talk about how men and their responsibility in society have changed. If instead they had decided to talk about the conflict in Syria or another political message, there wouldn’t have been a clear link back to the business and the impact would have been diluted. Secondly, a brand also has to understand its target customers. Gillette, for example, will have known that it was likely to take a hit on social media, but the outspoken critics won’t necessarily reflect the views of other customers. Like most companies, it will have taken a measured risk on the advert based on its potential to impact sales and help build a positive brand image with its target audience in mind. There’s certainly a lot to be said for stirring up some controversy when it comes to adverts and other content. If used effectively, such an approach to marketing has the power to sway opinion, encourage discussions on key issues, help a brand stand for more than just its products and even bring people together. However, in today’s social media age where millions of people around the world can access new content and share their opinions immediately, it also has the power to divide like never before. But is that really such a bad thing? Of course it has to be approached in the right way, and there’s no point in being controversial just for the sake of it. But, if there’s one thing that the Gillette ad (and Nike) has taught us, it’s that brands shouldn’t be afraid to take a stand. Want to find out how we can help you craft brand messaging and content that truly represents your business values? Get in touch now at hello@rlyl.com.